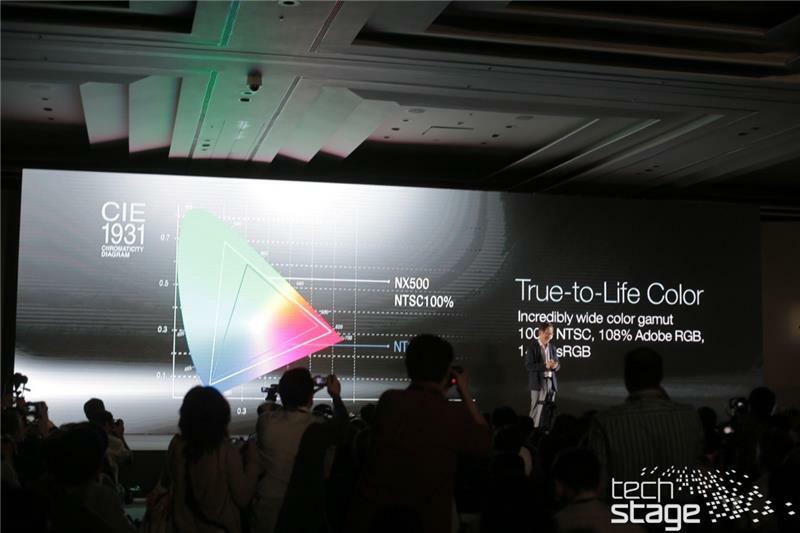 AnandTech Live Blog: The newest updates are at the top. This page will auto-update, there's no need to manually refresh your browser. 02:31AM EDT - People are running to go over, we will have a look! 02:24AM EDT - Using Haswell ! 02:21AM EDT - More announcements...! 02:06AM EDT - "One thing that has never changed is our attitude towards life and technology"
02:05AM EDT - "Speedy development of mobile technologies"
02:05AM EDT - "25 years since our first motherboard, a lot of things have changed"
02:02AM EDT - Previous announcements at the mobile press event from ASUS include the mobile/tablet hybrids, AIOs, the Taichi and so on. Considering the device looks to be fanless and has a chassis thinner than an iPad Air (<7.3 mm vs 7.5 mm), I would assume this device is using Broadwell-Y. The "high performance and low power" remark also hints at that. Ian, if you have the chance, can you ask for the weight of the T-300 when it is detached? Also, according to Gizmondo Australia, the 4K Zenbook will have a Haswell i7, so can you ask them for estimated batterylife? Finally, since the photos from the event seem uncertain, here's a slide from a german website which covered the same event about the 4K Zenbook.